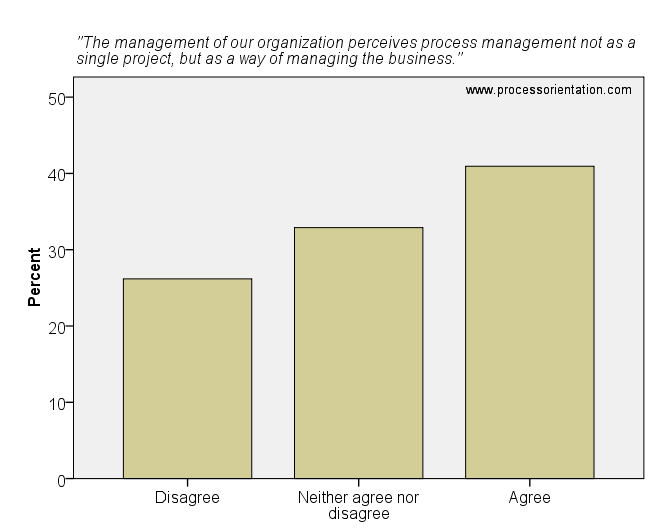 This article discusses the issue “management commitment towards the process approach” of the process management survey. Details on the survey (research design, sample, etc.) can be found here. 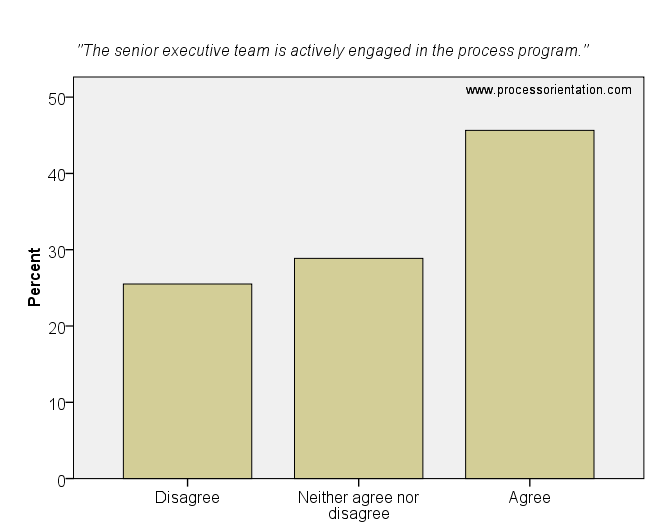 In most of the firms, management supports the process program (see figures below). 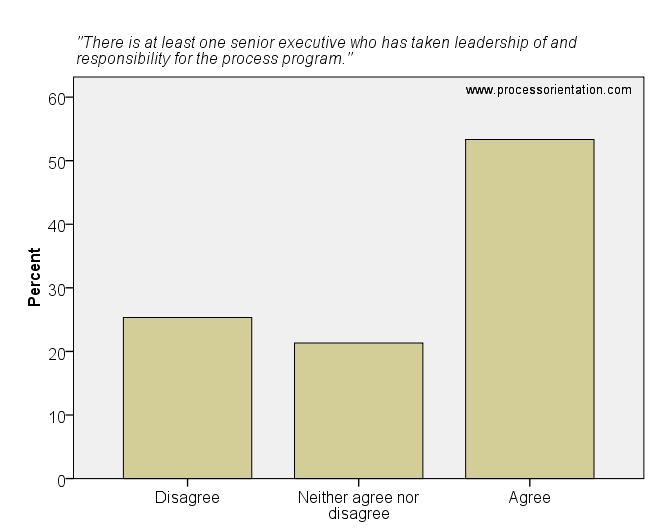 It is worth mentioning that about 25% of the firms state that senior executives are not committed to process management. In a process-oriented organization, management needs to support the process program. Without the support of senior executives, the process idea cannot unfold to its full potential. There is a high risk for process management to fail if senior executives do not undertake necessary leadership roles and do not promote process-oriented thinking (Hinterhuber, 1995). Process oriented initiatives are less likely to secure benefits unless managers come to a consensus and an understanding of such initiatives (Edwards et al., 2000). Process orientation must be a long-term commitment rather than a quick fix. Management should perceive process management not as a single project, but as a way of managing the business (Hammer, 2007). In an ideal case, the organization has established a so-called chief process officer (CPO) who deeply understands the concept of the process approach and who is centrally responsible for the advancement of the enterprise-wide business process management (Schmelzer and Sesselmann, 2006). The senior executive team should be actively engaged in the process program (Hammer, 2007), e.g. by setting process performance goals or deciding between several process design variants.